“HE DESERVES TO BE PUNISHED.” With a simple statement the suspenseful story begins. Some say it about a boy who broke the one of the girl’s hearts, a former best friend who lied to them to get their way, or a bully who crossed the line. In the end all the girls want is to earn needed satisfaction which begins to show the seemingly perfect girl’s dark side. Sometimes all it takes is a small plan and a few high school students to commit something seemingly incapable of them to one of their own classmates. Shepard’s The Good Girls intrigued me with it’s mysterious story and surprising end. Mackenzie, Ava, Caitlin, Julie, and Parker have been up to some not-so-perfect actions. Living in the small but pristine town of Beacon Heights, Washington, being imperfect is the worst thing you can do to yourself as a student at Beacon High. Even though the girls might have thought about killing the most popular boy and tyrant of Beacon High, Nolan Hotchkiss, they never followed through with their ideas. It was just a mere coincidence that he was murdered just as they had planned, right? The only problem was that this time the girls have more people on their revenge list who are being killed one at a time, starting with Parker’s abusive father. With the police following their every move and other high school drama coming into play the girls begin to question if they can really trust their new friends along with anyone else. Who would know about the list and who is the serial killer? The Good Girls raises attention to a puzzling question if those who commit certain actions deserve to be punished for the sake of revenge. Throughout the story this question comes into play. For example, if the antagonists really deserve what should be coming to them. Also, if when someone says something do they really mean for it to happen? Aside from the antagonists are the protagonists who are vivid and interesting characters. Each of them has a very different personality ranging from the shy music geek to the strong soccer captain. While they all vary in personality they have the same thoughts on certain people they know. Shepard made it so you truly feel as if you are in Beacon Heights, Washington with the group of girls dealing with all of their high school issues by adding in situations that are frequent in my daily life along with most teenagers. Shepard also succeeded in bringing Beacon Heights to life with very detailed descriptions about the glimmering lakes and grand pine trees that tower up to the sky. The Good Girls, while filled with lots of mystery, is also bustling with active characters and a detailed setting. 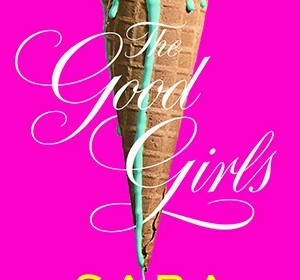 Sara Shepard’s The Good Girls held my interest from start to finish and left me wanting more to indulge in. It showed me the true pain that is high school through ten pairs of eyes each with an engaging vision. This book is for any lover of mystery but wants something a little different with drama involved. Mackenzie, Ava, Caitlin, Julie, and Parker will relate to anyone who has been a teenager as they did to me and you will truly understand the meaning of revenge.